By all accounts, 2011 was the best year for auto retailing since 2008. A strong showing in November and December pushed annual sales to about 12.8 million units for the year. Driving consumers off the sidelines were interest rates, which, coincidentally, reached their lowest average in three years. The sales surge didn’t stop economists from debating the strength of the recovery, but for dealers, the fourth quarter of 2011 represented one of the best times for consumers to buy a new or used car or truck in recent memory — and consumers responded. Finance sources did their part, too. Consumers from across the credit spectrum found it easier to get an approval for an auto loan. Credit scores for both new and used vehicles dropped, while the percentage of loans made to customers with below-prime credit topped the year-ago period. Sources were even willing to make payments more affordable for consumers by extending terms out to six or seven years. Dealers can thank consumers for the easing guidelines. Buyers continued to make loan payment on time, driving down delinquency rates and the total dollar volume of at-risk loans. In fact, the total balance of 30- and 60-day delinquent loans fell by $1.3 billion and $562 million, respectively, during the quarter, while repossession rates fell by 5.8 percent. Finance sources are clearly on more solid ground than they were two or three years ago, which bodes well for consumers and dealers. The following is a more detailed look at what happened in four quarter of 2011. Consumers who came off the sidelines during the quarter were rewarded, with the average interest rate for new-vehicle loans dropping 32 basis points to 4.42 percent. For used, the rate edged down 3 basis points to 8.68 percent. The drop in interest rates for new-vehicle loans translated into a savings of $231 for the average 60-month loan totaling $26,418. For used vehicles, the savings were much smaller, about $15 over the life of a 60-month loan. Buyers also benefited from lower monthly payments. Sources continued to stretch out terms as the quarter wore on, and loans between 73 and 84 months accounted for 14.1 percent of all new-vehicle loans, a 47.1 percent increase from the fourth quarter 2010. For used vehicles, loans with terms between 73 and 84 months accounted for 9.04 percent of all originations, up 41.1 percent from the year-ago period. The drop in average credit scores for new- and used-vehicle loans was another welcome sight for dealers, opening the doors to a larger pool of customers. For new-vehicle loans, the average credit score dropped 6 points to 761, while the average credit score for used dropped nine points to 670. The below-prime tiers were the biggest beneficiaries of the drop in loan qualifications, with loans made to customers with nonprime, subprime and deep-subprime credit increasing by 13.8 percent from the year-ago period. It bears repeating that consumers making their payments on time was the biggest driver of the easing of credit qualification. In fact, the continued improvement in consumer repayment patterns drove the 30-day delinquency rate down to 2.79 percent — a decrease of 6.57 percent from the year-ago period. The 60-day delinquency rate also dropped, falling 9.51 percent to 0.72 percent in the fourth quarter. The industry also realized a drop in the overall dollar volume of loans at risk, which fell $1.8 billion from a year ago to $18.5 billion. On the rise, however, was to total volume of open loans, which jumped by $23.9 billion to $658 billion. And with the ratio of at-risk dollars to total loan dollars dropping, finance sources were able to operate in a lending atmosphere they hadn’t seen since the credit crash of 2008. 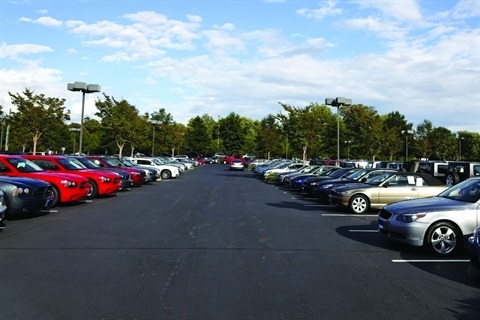 Lenders clearly asserted themselves in the fourth quarter and their aggressive approach appeared to spill over into the opening month of 2012, with annual sales pacing at the highest rate since the spike generated by the government’s Cash for Clunkers program in August 2009. This means good things for consumers and dealers in the months ahead. The improved market conditions also should breed more competition, as new sources and even those that exited the market four years ago prepare to take advantage of what remains an attractive asset class. And with more lenders competing for the business, dealers will have an easier time getting their customers financed.